Special Sale: Two CDs for the Price of One! For a limited time you can purchase both HARMONY & BALANCE and VITALITY for $29.95 plus $3.00 s&h. 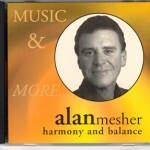 Harmony & Balance combines soothing rhythms & mellow jazz with powerful, yet gentle spiritual healing energies. You hear the music and feel the energy. This CD is soothing and peaceful. Listen to a sample. 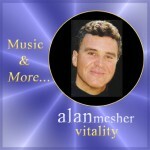 Vitality combines soaring rhythms with powerful spiritual healing energies. This CD is energizing and uplifting. Listen to a sample.